Find here the best Billy Guyatts coupons and vouchers. Billy Guyatts is a trusted name for decades in the electrical appliance retail market. Operating in Victoria from the mid to late 1900’s, consisting of up to 40 superstores. 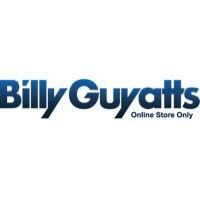 At BillyGuyatts we are dedicated to ensuring our customers have an exceptional online experience. We have an extensive range of products ranging from Fridges, Televisions, Freezers, Microwaves, Bar Fridges, Stoves, Cooktops, Dishwashers, Gardens Tools, Small Appliances, Air Conditioners, Heaters and so much more. There are literally thousands of items listed and the range is changing weekly.